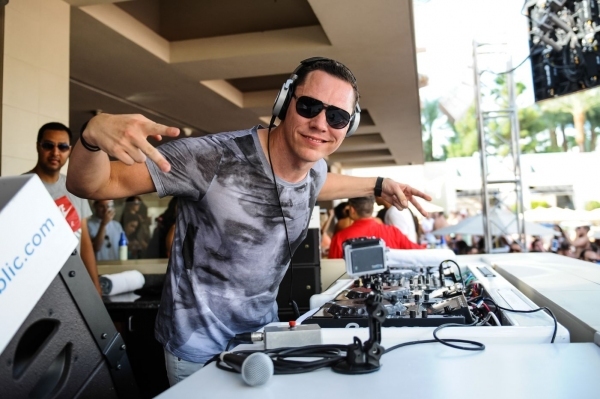 Tiësto looks to be expanding his horizons once again, as the producer has announced a new label for deep house tracks. AFTR:HRS will be the name of the new imprint and it will allow the legendary DJ to dip his toes in uncharted territory, plunging into a genre of music that he’s definitely not known for. Of course, with the label just getting off the ground, there’s not much in the way of new material from it just yet. The first song was premiered on Danny Howard’s BBC Radio 1 show yesterday morning though, with the promise of a lot more to come over the next few months. We’ll be sure to let you know once Tiësto‘s new imprint really starts firing, but until then, tell us whether or not you’re excited to see the DJ heading in this direction by dropping a comment below.